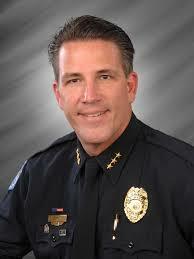 The City of Fort Myers announced the termination of FMPD police chief Doug Baker today. Mayor Henderson has been quoted saying that untruthfulness was the reason for the termination. City manager William Mitchell also indicated he was concerned about the state of morale at the department. The investigation indicated that Baker claimed to have called Captain Perry while local NFL player Nate Allen was being detained, and told them to let him go, though he was held for quite some time after that. The investigation revealed that the phone call Baker made was a missed call, and that he actually didn’t speak to to Perry until sometime later. Perry’s statement was consistent with the phone records. The irony, as always, is that the cover-up is worse than the infraction. It wasn’t Baker’s direct fault that Allen was held to long, and he didn’t have any need to claim that he directed the release to Perry. It’s even more ironic, because Baker ordered this internal investigation, which ultimately led to his own downfall. The termination had to happen, once evidence revealed that the chief was dishonest. It’s unfortunate on many levels, but will hopefully provide an opportunity for positive change at FMPD. Credibility of police officers is paramount, not only for developing trust in the community, but because we rely so heavily on their reliability in the courtroom. Further, it appears from the investigation that Baker was punishing other officers, meanwhile being untruthful about his own involvement. Since the department has terminated other officers for dishonesty, that policy must also extend to the supervisors. Credibility can only be built if it is consistently enforced from the top down. I commend Mr. Mitchell and the city leaders for doing the right and necessary thing.